The root cause of this issue is a discrepancy between ArcGIS Server 10.3 and the FlexLM lmutil 11.12 utility. ESRI has already acknowledged this issue as a bug (BUG-000085807) on version 10.3. Since OpenLM obtains license quantity and usage information from ArcGIS via the lmutil utility, it has been exposed to faulty data. Until ArcGIS publishes a fix to this discrepancy issue, we recommend to revert to an older lmutil.exe file; one that would produce correct reports on OpenLM. This version has been tried and worked well with ArcGIS 10.3 to produce correct results. Download the linked lmutil version. Open the OpenLM Server configuration tool, under the LM Tools tab. Select the ‘FlexLM’ path. Configure the path to point to the file supplied above. 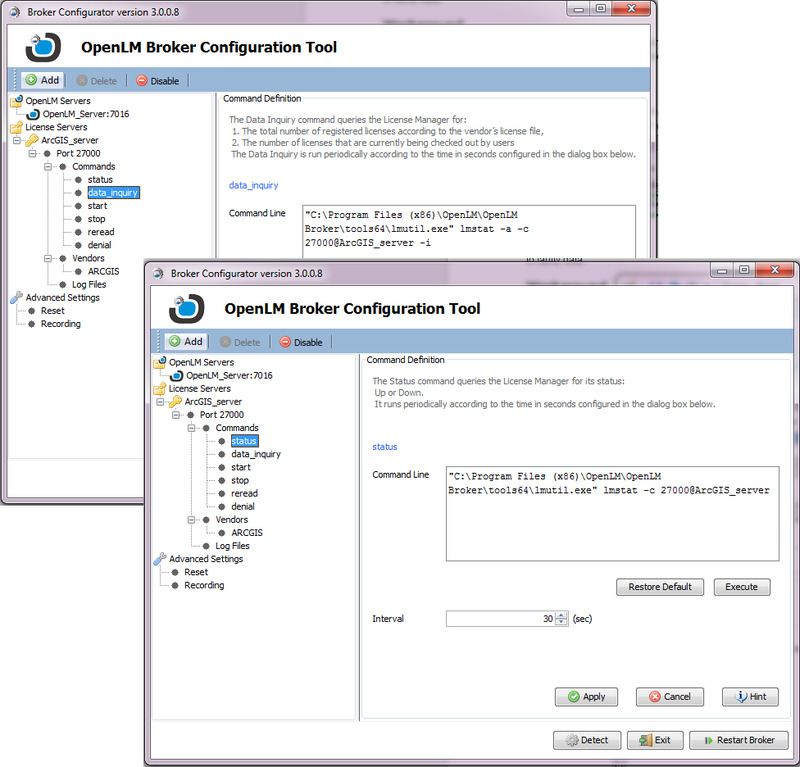 If the OpenLM Broker is also employed to provide license information, Open the OpenLM Broker configuration tool and change the paths to the ‘status’ and “Data_inquiry” commands, as shown in the image below.